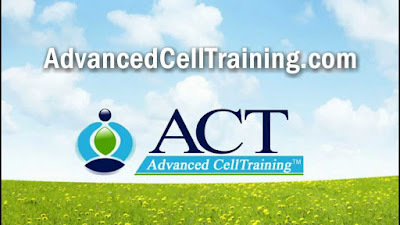 I saw an Ad on Facebook about a program called ACT, which stands for Advanced Cell Treatment. I was desperate to get better, so I was willing to try anything. The good news is that it's all natural and I don't ever have to take any pills to get better. I started the program back in March of 2017. My hope of sharing this program is that I may help one person or more. I don't get paid to share this program, but I know how I wished someone could of shared this with me sooner. The Founder of the Program is Gary Blier. The program consist of listening to codes that are in the form of words, letters, and numbers and listening to music. The music is done two times a day for two hours and reading the codes twice a week. The codes are for physical and emotional pain. He muscle test us in the group over the phone. The codes help our body heal and act appropriatly. We are all on a conference call once a week for about a two hours or so. It all sounded somewhat hokey to me, but I had done muscle testing with other people before so I was pretty open minded. When I first started the program, Gary said a small group of people don't respond to this program. It does take take time for healing to take place. He has us give him a weekly email on our top 10 concerns and to rate them from 1 -10 according to our pain level. We are able to ask questions and address concerns with out health in our emails and on conference calls. I did feel herxing and sometimes still do when I do the codes and listen to the music. I'm still in the program since March, but I have seen improvment since doing this program. It cost $56 a week. I was spending all kinds of money for many things that never worked so this cost was worth it to me. Gary can never predict how long it will take with this program to get better. It may take weeks to months depending on how long you've been sick. He said we usually take one step forward and two steps backwards when we are healing with these methods. I'm still in this program and I feel more than half way to improving. When I first started my whole body, back, and thighs were throbbing and I hurt so bad, and only after a month or so most of that subsided. I have other issues I'm working on. I think this program is worth a try for anybody who has Lyme. He also does this program for Lupus and other health issues. He has helped my children too by giving me codes for them! I've seen improvement with their health too! I'm so glad I tried this and I can't wait to finally be on the other side of health!! Please leave a comment with any questions if you want to know more. B 12 methylcobalamin - What a Game Changer for Lyme! I was told by my doctor to try this B 12 Methyl because it's great for detoxing. The first time I took it, I had a huge headache and thought I don't know if I can continue it. Now I can tell I feel less pain and pressure in my head. I've only been on it for a while and I feel my candida has improved too because I don't have much or No yeast infection. I hope this product helps as much as it helped me! It did make me tired the first few days when I took it so I would only take half during the days and half at night. It taste very sweet and you let it dissolve on your tongue. Methylcobalamin (Methyl B-12) is better absorbed and retained than other forms of B12 (e.g. ; cyanocobalamin). * Methyl B-12 protects nerve tissue and brain cells; promotes better sleep and reduces toxic homocysteine. Dr. Morse offers videos on how to heal yourself with any illness through a raw food diet and herbs. He has many videos and he answers many others emails on many different illnesses. I'm currently taking his herbs and trying to eat a healthy fruit raw food diet. He talks about how we have two sides of chemistry, which is acidic and alkaline. In order to be healthy, we need to stay on the alkaline side of chemistry. He discusses there are two very important fluids in our body, which are blood and lymph. Our body is comprised of 3/4 of lymphatic and we need to keep our lymph moving to stay healthy and free of toxins. I do think the herbs are helping, but because I'm so acidic it will take some time. I hope you find him as interesting and helpful as I do! I decided to try some new herbs, which I think helps kill the bacteria. I was searching on you tube and I found a video where I guy said that he cured herpes and HIV. 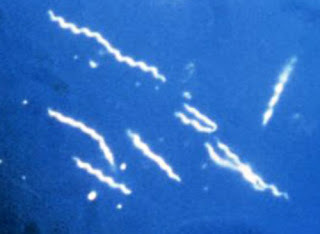 I thought well why can't it help me with Lyme. So I followed what he said to try. He said to take olive Leaf, oregano, wheat grass, hemp seeds, chia seeds and eat a raw food diet. I drink a smoothie with frozen strawberries with a frozen veggie like spinach or broccoli. Then I put powered wheat grass, chia seeds, and hemp seeds in the smoothie. I eat a spinach salad with greens in it everyday too. I take one olive leaf and oregano pill at night. I would suggest doing this all very slowly. I drink a powered magnesium drink daily because I can get constipated. I noticed I was shaky the first couple of days, but now I don't seem so hungry and shaky. I still do all of this and I think it has been helping and herxing me too. 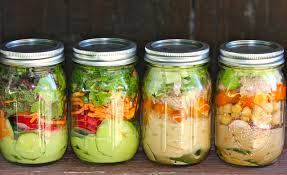 I saw on Dr. Oz really neat mason jar salads. Basically you take your mason jar and place your salad dressings on the bottom and then drop in your nuts, veggies, fruit, raisins, and lettuce. Then place the lid on it and shake it. I like to make a few jar salads and save them in my fridge for when I'm ready to eat them. This Earthing Mat has been a miracle to my health! I experienced more relief from this mat than any other kind of treatment. My sister who has Lyme like me told me about the Earthing Mat after she discovered that she would feel better in the summer and at the beach. I did some research and found an Earthing Mat on Amazon. I didn't know about earthing until my sister told me about all the benefits. It is when we our bodies make contact with the earth with our bare feet and we receive a negative grounding charge that balances out the positive electrons in the form of free radicals. Grounding has many health benefits and I have experienced it through the Earthing Mat. The first time I used the mat I had terrible anxiety and all my anxiety melted away after the first use. This mat balances out cortisol levels and allows you to have restful sleep. I suffer from terrible insomnia and I can't stay asleep or fall asleep. I decided to take a nap on the mat and I fell asleep right away. You have to have direct skin contact with the mat, so I placed the mat under my shirt onto my stomach. If you have Lyme disease, then you need to take it slow with this mat due it may cause a herxing reaction. Grounding can detox you and clean out your system. I did experience a headache and pain in my joints due to herxing. Do a search on Lyme and grounding mats and you will see how many success stories are out there. I would like to start out by telling you a little about myself. I live in Michigan with my two beautiful girls and supportive husband. I was diagnosed with Lyme in the summer of 2014 at 38 years old. I wanted to create a Lyme blog in hopes of maybe helping someone while I try to get better as well! I ended up becoming very sick in January 2014 and I don't remember when or how I was infected with Lyme disease. When I became sick last year, it all started with my knees hurting and then I began getting an intense pain in my lower back and neck. In the past I always had some mild joint pain, but I always thought it was from when I was a waitress in college. At first I thought maybe I hurt my muscles in my knees so I went to my doctors. She told me it was because my knees went somewhat inward and gave me numbing lotion and sent me to a physical therapist. This doctor wanted to give me anti-depressants and Xanax. It never dawned on her to test me for Lyme or that any of symptoms could be Lyme related. She just looked at me like it was just the structure of my knees that was causing the pain and that I just had a mental issue. Then I started losing the ability to walk. So I went to physical therapist and regained some strength in my knees and legs. I was confused why my knees and my joints began to hurt to a point of me not being able to walk. Now my teeth began to hurt and a root canal I had began to throb with sharp shooting pains. I decided to get it doubled root canal, but it didn't help eliminate the pain. They did give me antibiotics after the procedure, so that started me on treatment before I knew I had Lyme. I just felt my body shutting down and falling apart. I really thought and felt I was dying and no one knew why. I could barely eat and I was losing weight very quickly. I was already at a normal weight so I couldn't stand to lose too much more weight. My symptoms included my eyes burning, anxiety, depression, neck pain, back pain, knee pain, joint pain, light sensitivity, inability to walk normally, tremors, low blood sugar, tremors, teeth pain, migraines, fatigue, and insomnia. My sister was diagnose with Lyme 3 years prior and told me to get tested to make sure I didn't have Lyme. Thank god my sister helped me down the right path towards testing and treatment. 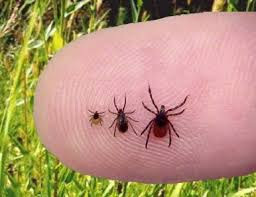 I didn't know a lot about Lyme besides seeing my sister suffering from it and that you get it from being bit by a tick. Then I tried to get an appointment with my sister's doctor who was an immunologist who was treating her Lyme, but they couldn't get me an appointment until about month. So I was taking the antibiotics for my tooth and feeling only slightly better. Then I felt my mind was starting to shut down. I looked at my husband one day and I said I can't take care of our toddler, at the time I was a stay at home mother. We began to argue and I just couldn't articulate my thoughts and I began to stutter. It was like my mind wouldn't work. I was having terrible anxiety and became depressed. So I took my sister's advice and I went to her doctor to have her doctor test me. She also tested me for other things like h pylori and food allergies. It came back that I have gluten, dairy, sugar, and cocoa intolerance. She did find h pylori in my stomach so they started treating me with antibiotics. This doctor had a MRI done on my knees and it came back normal. At this point I was a 38 year old healthy woman who began walking with a cane and I was a nervous wreck. After a few weeks, the nurse called me and said only one band was showing, so I didn't have Lyme disease. I knew something was wrong with me, but with a negative Lyme result, I just didn't know what it was. I felt like I was in a tunnel and my world was closing in on me. I called my mom and said I feel I can't think and now I can barley walk or drive a car. So we end up going to the emergency room. I tell them how I felt and they give me a Valium and told me see my regular doctor when they resumed their regular business hours. I felt I was losing my will to live because I could barely walk, talk, read, or write. It was one the scariest times in my life. After weeks of suffering I finally saw the immunologist and I tell him about my negative Lyme test. He decided to test me for Q fever, candida, and check my complete blood count. He said just because your Lyme test came back negative doesn't mean you don't have it. I tell him I don't remember being bit by a tick and he explains to me that I can get it from a mosquito, tick, spider, birth, or as an S.T.D.. 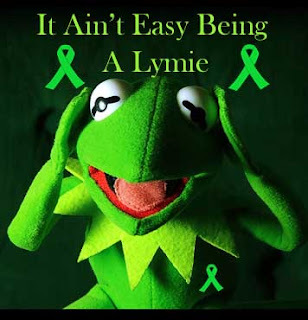 I never knew all the ways I could of gotten Lyme, but never needed a reason to until I got sick. He explains to me that I can take a more expensive test, Lyme Multi-peptide IgM Elisa Assay Test that would cost $450 to rule out whether I have it or not. I really wanted to know either way so I paid for the test. It came back that I had Lyme and all the co infections. I also had Q fever too. I found out about the Q fever before my Lyme results came back so he started treating me with antibiotics for that. 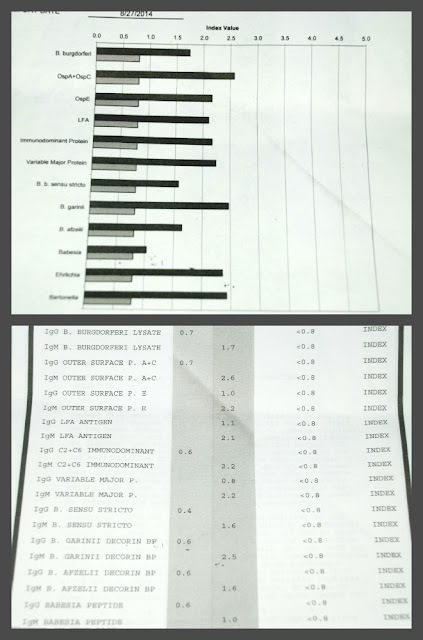 He hands me my Lyme results and I started to cry. I was so sad to know that I have this horrible disease that I have seen my sister suffer with for years. Now I knew why I felt was so terrible. This bacteria definitely went to my brain, which was causing all the anxiety and depression. 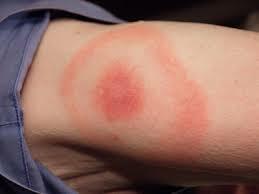 I was baffled since I didn't remember being bit by a tick or having a bulls eye rash. I ended up doing one Vitamin C IV and I got the worst headache from it. He tested me with a C4a test and mine was over 15,000 and it should be 2,800 or lower. The C4a test shows you are fighting an infection and have inflammation in your body. The Top Black bar is my results showing I'm out of range with the bacteria. The immunologist started me on doxycycline and minocycline. I wasn't so sick that I needed to an IV like my sister because I think I started on antibiotics soon after my severe symptoms started. I was seeing a chiropractor at the time and he gave me a detox kit right before I knew I had Lyme. It was called ortho molecular core restore that you can buy on Amazon. Ortho Molecular - Core Restore BT Program - 7 Day Kit I herxed like crazy when I took it, but it helped me regain some strength in my legs. At the time I didn't know what herxing was or what that painful sensation was in my body. My sister told me that it was called herxing and I probably had Lyme. Herxheimer Reaction is often referred to as herxing. Herxing is when dead bacteria release their endotoxins into the blood and tissues faster than the body can handle it. If you suffer from Lyme than more than likely you will experience herxing sometime during your treatment. The doxycycline made me so sick that I felt like I was going to pass out from being so weak. I could barely sleep and I had terrible anxiety. I felt I was living in a permanent nightmare. The doctor and my sister kept reminding me that It was marathon and not a sprint. I wanted to be better in a few days, but this was going to take months before I would see improvement. My mom had to come over and help me with kids and clean up around my house. I felt like I had the flu everyday and I just wanted to give up. I knew I had to fight for my kids even though I want to throw in the towel. At the time my children were 7 and 2 years old. I had to place my toddler in full time daycare after having summer babysitters so I could get rest and go to doctor appointments and physical therapy. I could barely take care of myself let alone my kids and I felt so much guilt over it. My kids needed me so I had to get better and there would be times I would over do treatment. I ended up doing a sauna blanket and a herb suppository and tinctures in one day. I felt like I was going to pass out after doing that concoction. I began to realize that I had to slow it down and pace myself. I began to take my health very seriously and I started eating healthier. I wanted to be better so bad that I went to another doctor about an hour from house who has treated Lyme patients. He tested me for Lyme with a IGenex test and the test came back positive. 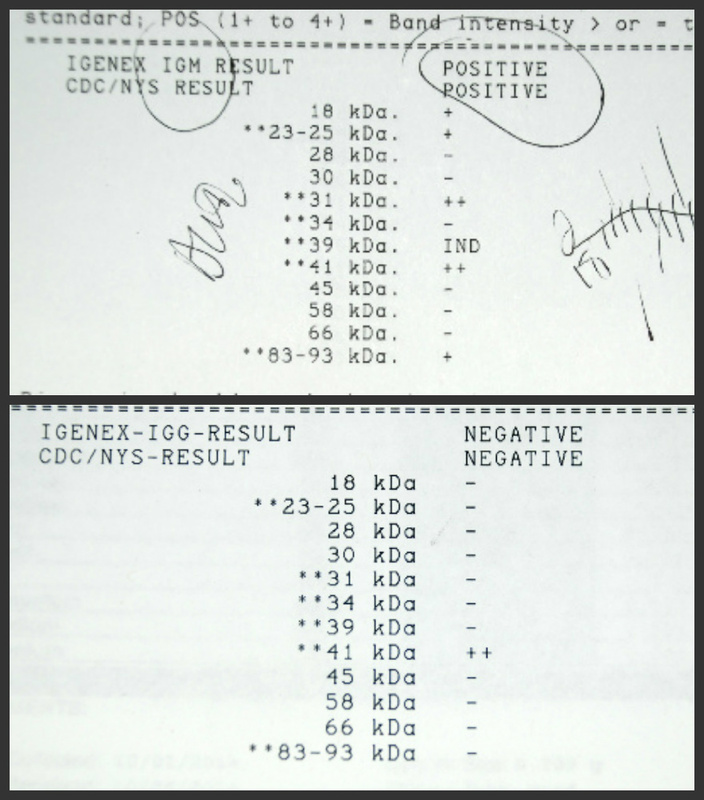 He tested me for mycoplasma pneumonia, cbc, my hormones, candida, vitamin D, food allergies, Lyme, and heavy metals. It came back that I had a positive Lyme test, candida, food allergies, and a little bit of heavy metals in my system. He started me on a variety of vitamins and I took the antibiotics from the other doctor. I could barely take the vitamins because it would be give such bad headaches. He tested me with a CD 57 test and it came back border line. After a few months of seeing this new doctor I decided to only see the immunologist who was only 20 minutes from my house. It's now the fall of 2015. I still have good and bad moments during the day, but I have improved a great deal in comparison to a year ago. I stopped the antibiotics due to it causing pain in my stomach. I take probiotics, vital plan https://vitalplan.com/conditions/lyme-disease vitamins, red root tincture Herb Pharm Red Root Extract for Cleansing and Detoxifying - 1 Ounce, and eating healthier. I do the LDI (Low Dose Allergy Immunotherapy) which is a shot in the arm or can be taken in liquid form under the tongue. 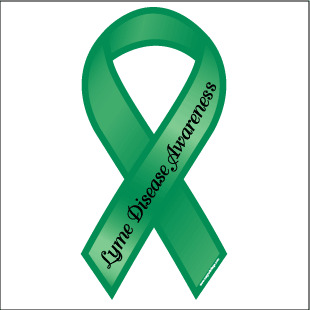 LDI is an effective procedure for relief reactions to infectious based immune reactions, which includes Lyme. I have tried many other things along this journey as well. I have tried a sauna blanket, rife machine, herbs, vitamins, tinctures, Epsom salt baths and immune active pills http://immuneactive.com/. My sister told me this was a rich man's disease and she was right. We had spent thousands of dollars on my doctor visits and treatments. This illness ate up all our health savings. I began to research Lyme and educate myself as much as my mind would allow me. I read Why Can't I Get Better? Solving the Mystery of Lyme and Chronic Disease, Suffered Long Enough: A Physician's Journey of Overcoming Fibromyalgia, Chronic Fatigue, & Lyme. There are 300,000 new cases in the US each year. Those are only the cases that are being diagnosed. I just can't believe how many doctors don't test for it or misdiagnose people. This disease is painful and frustrating. Both doctors I saw said that some doctors won't treat Lyme patients in the fear of losing their license and they are one of the rare ones that will treat Lyme with long term antibiotics. I hope this blog helps and educates someone with Lyme. I have individual posts concentrating on different subjects pertaining to Lyme disease. I wish all doctors were aware of Lyme and how it's on the rise. 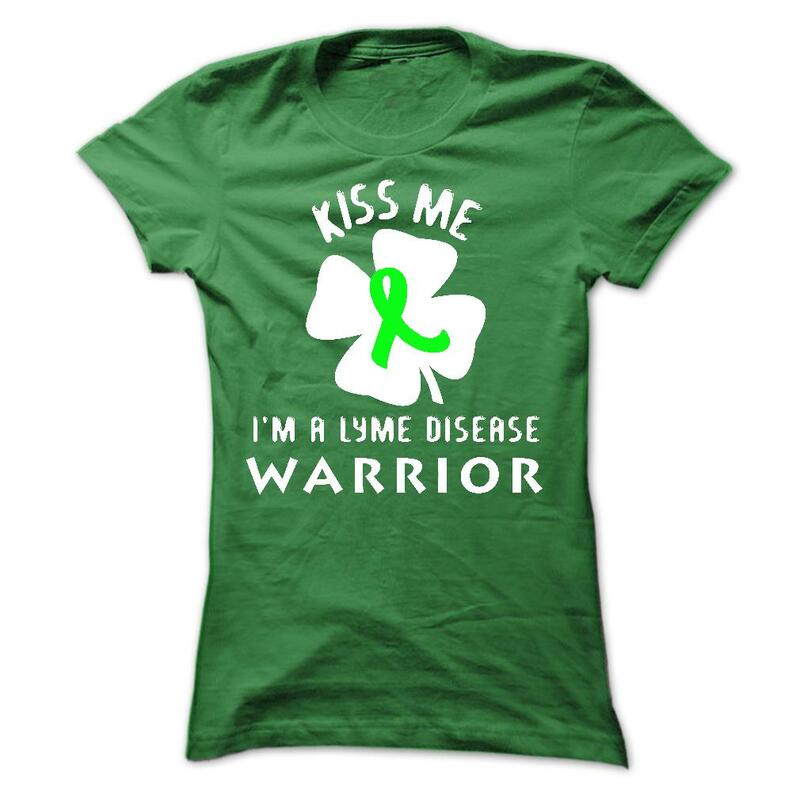 I wish there were better test and just because you have a negative result, it doesn't mean you don't have Lyme! Contracting Lyme disease is as easy as going outside in your backyard. Never in a million years would I of thought I would have Lyme disease! Feel Free to post any helpful comments! I have an 8 year old and a 3 year old daughter who have had symptoms. I want to share my daughter's journey with Lyme. My 8 year old daughter had a chronic hacking cough that started in kindergarten. I took her to see my doctor when she was 5 years old and she said that she had asthma. We did breathing treatments on her, but that really only helped a little. She was having a difficult time sleeping and eating due to this terrible cough. I asked her pediatrician to allergy test her with a blood test, but only dust mites showed up. My husband and I were desperate and thought maybe her cough was from asthma and dust mites. So we cleaned all her bedding, removed her stuff animals, and encased all her bedding. Her cough somewhat improved, but came back in first grade. By second grade she was having new symptoms. She started complaining about stomach aches and headaches. This was about the time I started getting sick so I took her the immunologist I was seeing and he Lyme tested her. He also tested her for mycoplasma pneumonia and that came back high. Her Lyme test came back showing 3 bands and he said there was a high chance she had Lyme, but he would need to test her with the expensive $450 test that I had done in order to treat her. He said she could have gotten Lyme from me through birth, so that means I probably have had Lyme for years. Lyme can lie dormant in your system for years and you can only have mild symptoms. Luckily her C4a test for inflammation came back normal. He put her on liquid antibiotics and her cough had improved. He retested the mycroplasma pnemonia and it came back that it was in normal range. Her other blood work came back she was low in zinc so we started supplements for zinc. He said he could food allergy test her, but it would consist of pokes up and down her arm. My sister told she was doing a NRT (Nutritional Response Testing) through a chiropractor. The chiropractor is testing your body's neurological reflexes. She can test for food allergies, heavy metal, bacteria, and organ weaknesses. So I had her test my daughter and she had many food allergies like gluten, sugar, dairy, and corn. This testing is non-evasive and painless. She said cleaning up her diet will be most important in getting her better. I eliminated all those foods from her diet and her stomach aches went away. She takes zinc and magnesium minerals too. I give her probiotics and vitamin d drops in a vitamin water everyday. Her symptoms have greatly reduced. I hope this will keep her well. Now my 3 year old was tested last year when she was 2 1/2 years old for Lyme and vitamin D. She had 2 bands showing and was low in vitamin D. The doctor said that Lyme can eat away the vitamin D. She seemed to be sick all the time and we always thought it was because she was in daycare. I give her vitamin D, zinc, and probiotics in a vitamin water and she doesn't get as sick anymore. I think I will have to address food allergies down the road like my oldest daughter. I hope that if I keep their immune system strong and healthy that they will stay symptom free. My hope is they will not suffer like I have and live healthy happy lives! **Update: I started giving my kids Liposomal Vitamin C Liquid that I bought online. Here is the post on that subject, http://lymemyjourney.blogspot.com/2015/10/liposomal-vitamin-c.html. My oldest daughter has experienced some herxing from it so I give her magnesium drops in her water and that has been helping her not have headaches.